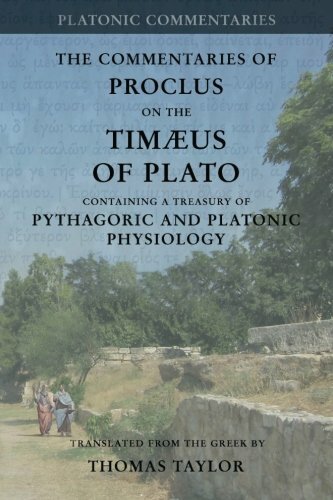 The present volume is a reprint of Thomas Taylor’s 1820 translation of Proclus’ Commentaries on the Timæus of Plato, which remains to this day arguably the most important and insightful commentary on any of Plato’s dialogues. 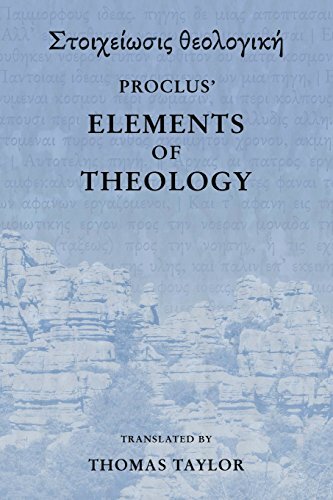 Proclus’ commentary provides us with, as Hegel says, the “culmination of Neo-Platonic thought.” Combined with Proclus’ “On the Theology of Plato,” we are provided with a solid foundation in the Platonic tradition, and are able to trace several of the most fundamental points of doctrine more clearly and systematically than is to be found from just about any other source. 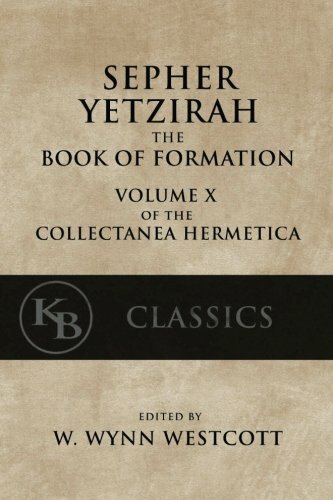 || Students looking for an introduction to the theological elements described in this volume are encouraged to also read Taylor’s General Introduction to the Philosophy and Writings of Plato along with his translations of the complete Works of Plato. For more on the mathematical elements, one may look to Taylor’s translation of The Philosophical and Mathematical Commentaries of Proclus on the First Book of Euclid’s Elements. 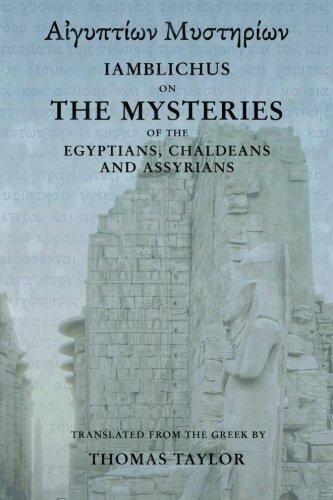 As Proclus grounds much of his thought in the Chaldean system, one will also benefit from the fragments of the Chaldean Oracles collected and translated also by Taylor. For more on the Pythagorean ideas, see Taylor’s edition of The Life of Pythagoras, and for more on the Orphic system see The Hymns of Orpheus. 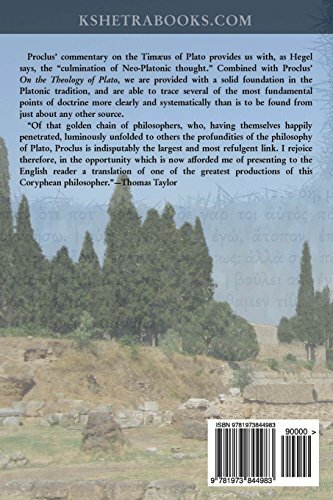 These (and other available works) combine to present the student with a much greater and more profound context for the ideas examined by Proclus in the present work.